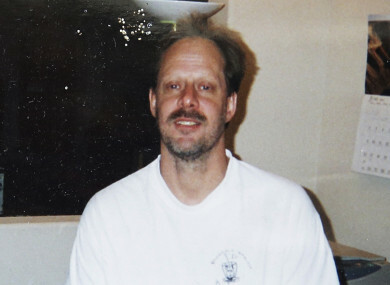 SCIENTISTS ARE PREPARING to do a microscopic study of the Las Vegas gunman’s brain, but whatever they find, if anything, likely won’t be what led him to kill 58 people in the worst mass shooting in modern US history, experts said. The brain will arrive in California soon, and Stanford has been instructed to spare no expense for the work, The New York Times reported. It will be further dissected to determine if Paddock suffered from health problems such as strokes, blood vessel diseases, tumors, some types of epilepsy, multiple sclerosis, degenerative disorders, physical trauma and infections. The examination will come about a month after Paddock unleashed more than a thousand bullets through the windows of a 32nd floor suite at the Mandalay Bay casino-hotel into a crowd below attending an outdoor country music festival. After killing 58 people and wounding hundreds more, Paddock died by suicide, police say. Perpetrators often are suicidal psychopaths who are motivated to commit heinous crimes because they have internalised their isolation and anti-social behavior as an existential threat for themselves, he said. Email “Scientists to conduct 'microscopic study' on brain of Las Vegas mass shooter”. Feedback on “Scientists to conduct 'microscopic study' on brain of Las Vegas mass shooter”.